A tooth-saving root canal can help you keep your smile intact if an infection or inflammation affects the pulp at the center of your tooth. Dr. Steve Yi, your El Paso, TX, dentist at El Paso Viva Dental, answers a few questions about root canals. Why are root canals so important? If you don't receive root canal treatment for your tooth, it will probably need to be extracted. Treatment also removes infections that can spread through your bloodstream to other parts of your body. Although a root canal might seem like a major procedure, it's one of the more common dental treatments. In fact, 41,000 people receive root canals every day, according to the American Association of Endodontists. What signs and symptoms may indicate that I need a root canal? 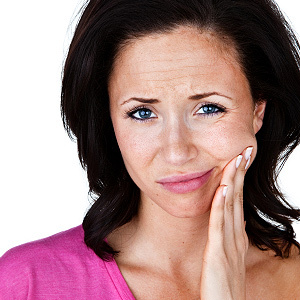 Persistent Tooth Pain: If you experience the worst toothache of your life, you may need a root canal. The pain and throbbing may be severe and nearly constant. It may get worse when you eat or put any pressure on the tooth. Tooth Darkening: Inflammation and infection of the pulp can cause your tooth to change colors. Jaw or Head Pain: Pain can also spread from your tooth to your jaw or head. Swelling: The gums around your tooth and your jaw may swell if your tooth is infected. Increased Sensitivity: Eating or drinking hot or cold foods and beverages may increase your pain. A Pimple: A pimple-like bump that forms on your gum near the tooth may be a sign of infection. You may also develop a fever and swollen glands. Despite what you may have heard, root canals are no more painful than any other dental treatment. Before beginning the procedure, your dentist will give you a local anesthetic and make sure you are fully numb before proceeding. After he opens your tooth, he'll remove the pulp, use a tiny file to clean and shape your root canals, then fill the tooth with a rubber-like material. In most cases, you'll need to stabilize the tooth with a crown at the end of root canal treatment. Do you think a root canal may be in your future? Call Dr. Steve Yi, your El Paso, TX dentist at El Paso Viva Dental, at (915) 751-1007 to schedule an appointment.